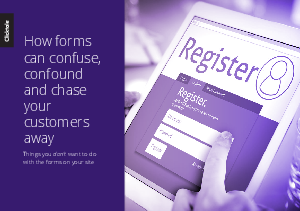 Forms are the place where you and your website visitors get personal. Forms are where visitors agree to supply their most precious online commodities - facts about themselves and their hard-earned money. Forms are the virtual equivalent of a handshake between you and your visitor. But it takes two parties to have a satisfying handshake. Your customers need to receive as well as give.